Dagny Brynjarsdottir celebrates her goal against Western New York. Wednesday night against the Houston Dash, the Thorns looked calm, collected, and confident from the starting whistle, with Christine Sinclair getting a decent attempt on goal within the first minute. They were patient and effective in possession throughout the first half. At right back, Katherine Reynolds rendered serial goal-scorer Kealia Ohai a nonfactor. Carli Lloyd managed a couple of shots from distance, but nothing really threatening. In the 25th minute, Brazilian international Andressa fouled Tobin Heath just outside the 18 for a free kick, which Heath popped over the wall to Allie Long’s head for a goal. The rest of the half saw some good attempts by the Thorns, including one where Lydia Williams stopped two successive shots by Sinclair. In the 71st minute, Long notched a beautiful goal off another assist by Heath, expertly flicking the ball over one defender's head, sending a second sprawling to the turf, and nailing it past Williams. The third goal came in the 90th minute when Williams let a free kick by Meghan Klingenberg slip through her hands, and Sinc tapped it home. Sunday night, the Thorns got off to a slow start, letting Western New York have the lion's share of possession for the first twenty minutes, and spending most of that time on the defensive. 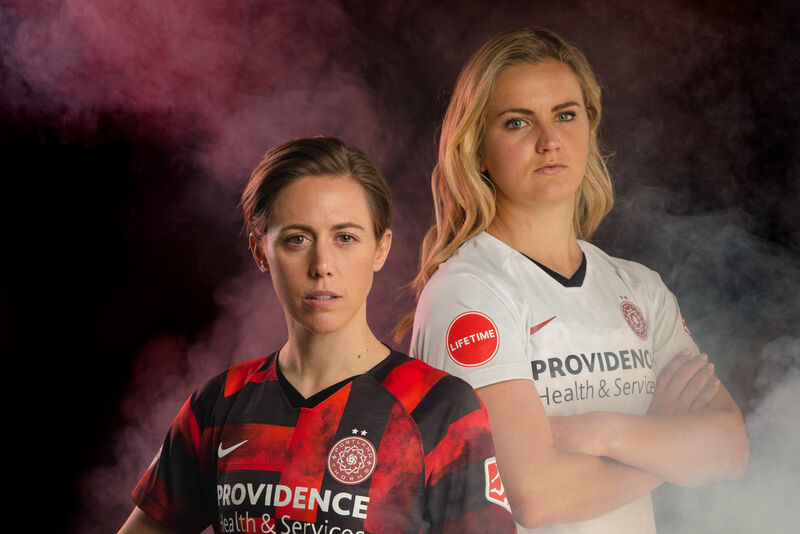 Perennial hero Michelle Betos saved Portland's skin at least once, when the back line went AWOL and she had to smother a nasty cross that former Thorn Jessica McDonald put just in front of the goal. In the 26th minute, as Nadia Nadim drove into the box, she was taken down by Jaelene Hinkle for a penalty kick and a yellow. She slotted it casually to keeper Sabrina D'Angelo's right for a goal. The goal seemingly gave Portland the mojo they'd been looking for, and some ten minutes later, Christine Sinclair capitalized on a mistake by the Flash defense, who missed out on what should have been an easy clearance, for a second. In the second half, Dagny Brynjarsdottir notched the Thorns' third goal two minutes after subbing in, after three quick passes by Long, Sinc, and Heath caught the Flash back line wide open. Things started to look dicey late in the second half when, in the space of three minutes, the Flash got two goals back, bringing the score to 3-2. Fortunately, with 10 minutes left, the Thorns managed to take a deep breath, reset, and hold the Flash scoreless for the rest of the game. 2. This team is the real deal, from top to bottom. 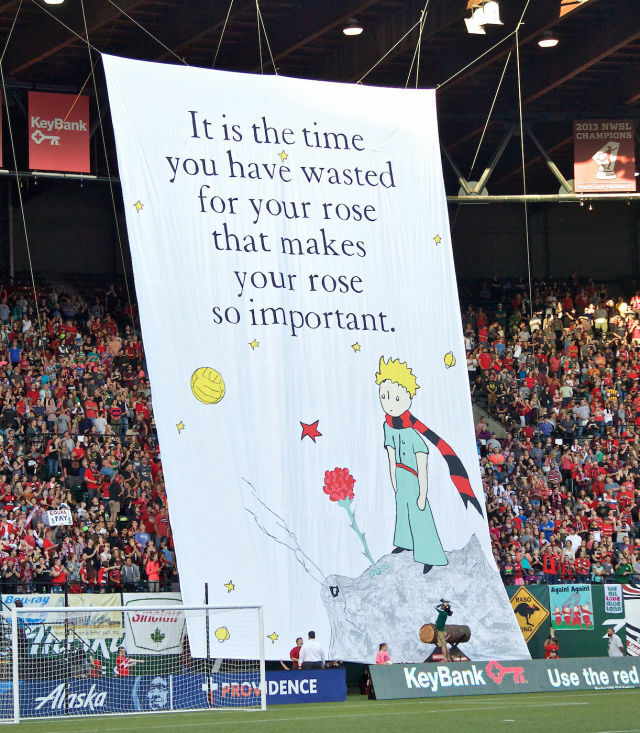 Thorns fans were channeling the Little Prince in the Rose City on Sunday night. If there was any question before, this week showed that Portland hasn't been successful thanks to the efforts of any individual player. Behemoths like Sinclair and Heath are part of the story, obviously, and Long and Nadim have both been on fire in recent weeks. But from game to game, the part of hero has been played by a rotating cast; recall that earlier in the season, a lot of the scoring was coming from Lindsey Horan and Dagny Brynjarsdottir. "We have a lot of big characters on the team," said Brynjarsdottir Sunday night. "A lot of players who can score big goals." It's not just offensive heroics, either. The gritty backbone of the team, especially during the pre-Olympics stretch, has been defenders Emily Menges and Katherine Reynolds. Menges, the only Thorn to play every minute this season, was deservingly honored by the Riveters last night for her tactful, tenacious leadership on the back line. Reynolds has the heart of a lion and the stopping power of a brick wall. Both have matched up against the best in the league—on some occasions, the best in the world—and come out on top. Finally, coach Mark Parsons deserves a lot of credit for Portland's success this season. The Thorns have always had talent. This season has been special, and not just because they had more talent than usual. Parsons has a well-documented knack for bringing out the best in his players, whether you look at Crystal Dunn's monster 2015 season with the Washington Spirit, or breakout performances from the likes of Meg Morris, Hayley Raso, or even Heath—who's tallied a league-leading nine assists this season, triple her total for the previous three combined. 3. 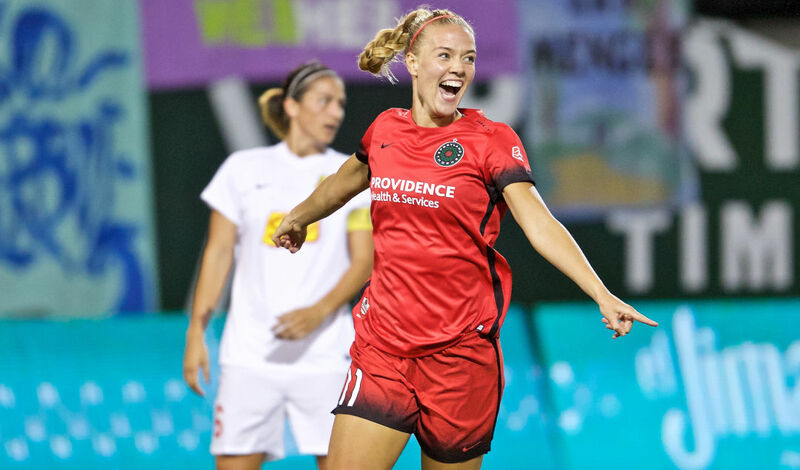 The Thorns are having more fun than they've ever had. Wednesday night, after their dominant takedown of the Houston Dash, Heath walked into the post-game press conference, looked around at the room of stone-faced reporters, and said, "Aren't you guys excited about the game?" It was a small moment, but emblematic of what a wild, fun ride this season has been. Along those lines, let's talk about a truly choice Tobin Heath moment from that game: after receiving the ball from Long and backing into the corner, she stood in front of Dash defender Poliana for a good five seconds—an eternity, in soccer—as if to decide what mean trick to use, before casually passing it away. Putting yourself in Poliana’s shoes, this has to be the worst feeling. The player you're facing down has been beating you all night. Everybody's on the edge of their seats. And then, insult of insults, she does what no one expects and decides she doesn’t even need to beat you. It was impossible not to laugh. That moment, too, was emblematic: the Thorns have been dominant, but often in ways that surprised and delighted. The magic of their pre-Olympic home win against Seattle, which pitted a depleted Thorns side against a basically full-strength Reign, was undeniable. They dug themselves out of multi-goal holes on the road more than once. And the vibe at Providence Park, which, thanks to a sell-out crowd of 21,144, was officially deafening on Sunday, has been electric. If you've missed out, you have one more chance to see what all the fuss is about: thanks to this week's wins, Portland gets to host a home playoff match before the final in Houston on October 9—an accomplishment Heath, grinning hugely, said, "I've wanted this since coming into this league." The date is still TBD, but tickets go on sale this Thursday, September 15 at 10 a.m. The Thorns play Sky Blue FC in Orlando on Sunday, Sept. 25.